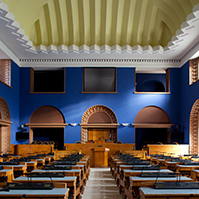 The Riigikogu passed with 77 votes in favour the Act on Amendments to § 5 of the Political Parties Act (569 SE), initiated by the Constitutional Committee. 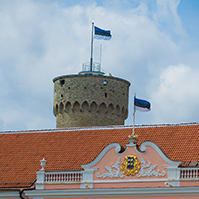 Pursuant to the amendment to the Act, political parties may admit as members citizens of the EU who are at least 18 years of age, have active legal capacity and reside permanently in Estonia, although are not Estonian citizens. 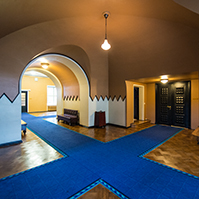 A person may belong to only one political party registered in Estonia at a time. Nobody voted against the Act and nobody abstained. 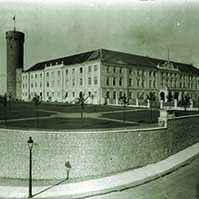 The Riigikogu passed with 82 votes in favour the Peace-Time National Defence Act and State Secret Act Amendment Act (996 SE), initiated by the Government of the Republic. A new section was added to the Peace-Time National Defence Act which stipulates the decision-making process and procedure for the use of the armed forces of the Defence Forces and the National Defence League in case of a danger posed by a civil vehicle. The armed forces may be used against a civil aircraft only if it is impossible to prevent the armed attack directed at the Republic of Estonia with no other means, and on condition that the damage caused by the use of armed forces is remarkably smaller than the damage possibly caused by the attack. Pursuant to the State Secret Act, the data including the rules, established by the Government, on the use of armed forces of the Defence Forces and the National Defence League which determine the danger posed by a civil vehicle and the response procedure, will be classified for 10 years. 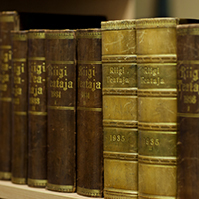 The Act enters into force on the day following its publication in the Riigi Teataja. Nobody voted against the Act and nobody abstained. The first reading of the Disallowed Construction Removal Bill (1000 SE), initiated by the Estonian Reform Party Faction, Social Democratic Party Faction, Res Publica Faction and Isamaaliit Faction, was concluded. Due to the end of the working hours of the sitting, the first reading of the War Graves Protection Bill (1001 SE), initiated by the Estonian Reform Party Faction, Social Democratic Party Faction, Res Publica Faction and Isamaaliit Faction, was adjourned. The deliberation will be resumed on Tuesday, 14 November, at the sitting beginning at 10. 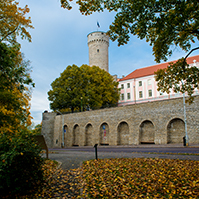 The Bill on Amendments to the Planning Act, Building Act, Local Government Organisation Act and Government of the Republic Act (943 SE), was withdrawn by the initiators of the Bill the Social Democratic Party Faction and Members of the Riigikogu Peeter Kreitzberg and Mark Soosaar. On the motion of the Social Affairs Committee as leading committee the Riigikogu rejected at the first reading the Child Support Bill (924 SE), initiated by the Res Publica Faction and Isamaaliit Faction. 43 members of the Riigikogu voted in favour of the rejection and 30 against, nobody abstained.